• To promote the study of the law and law research, and sharing legal knowledge. 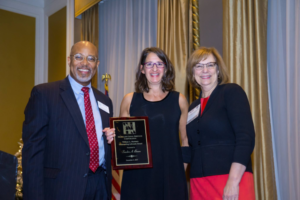 Since 1965, we’ve pursued our mission by making grants to organizations that work within Maryland to accomplish the goals of the Foundation and by presenting awards to honor distinguished leaders in the legal community. Our mission is supported by contributions from Bar Foundation Fellows, MSBA members, and the general public. LEARN ABOUT MBF Without their support, we wouldn’t be able to do what we do. Every year, the Maryland Bar Foundation provides thousands of dollars in grants to Maryland nonprofits and charities to serve our communities and promote justice. The Maryland Bar Foundation is proud to support nonprofits of many kinds – from national organizations to neighborhood groups – who work in communities across Maryland. We believe in creating a positive impact wherever there is a need. Reporting on the activities of the Foundation, and the grants awarded during the year. Featuring a networking reception to present the 2019 Legal Excellence Awards & Curran Awards. Maryland Bar Foundation grants will help fund the Maryland Partners for Justice Conference – a collaboration of the bar, the judiciary, legal services non-profits, other human and social services agencies, government and legislative representatives, and advocates interested in ensuring fair and equal access to legal services and the justice system. PBRC will develop panel topics on cutting-edge issues impacting marginalized and low-income individuals and communities, sharing knowledge and developing strategies to effectively impact those populations and the legal system. Alternative Directions, Inc. is the only civil legal organization in Maryland that goes directly to prisons to provide legal workshops for inmates. Maryland Bar Foundation’s financial support makes it possible for ADI to travel to prisons around the state and advance its mission. 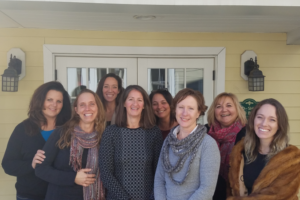 Because of the support of the Maryland Bar Foundation, MVLS has the ability to implement and record an intensive training series for pro bono volunteers. 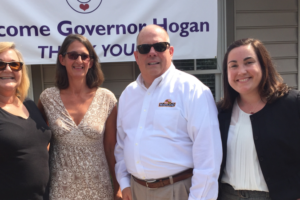 With this additional educational resource, MVLS will be able to expand its panel of volunteer attorneys, serving a greater number of vulnerable individuals and families throughout Maryland and advancing civil justice in our state.